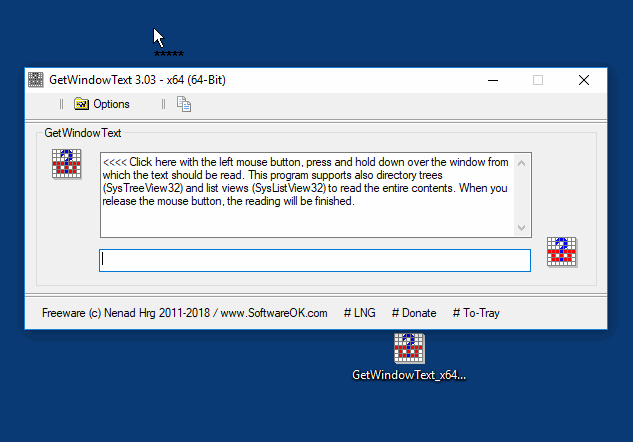 GetWindowText is a very small and portable program with which you can read the window text. and by holding down the left mouse button (drag), the read can be started. Then simply hold your mouse over the window from which the text should be read. It can be read almost all the texts, e.g. from Edit, Static, Groupbox - Controls, etc. 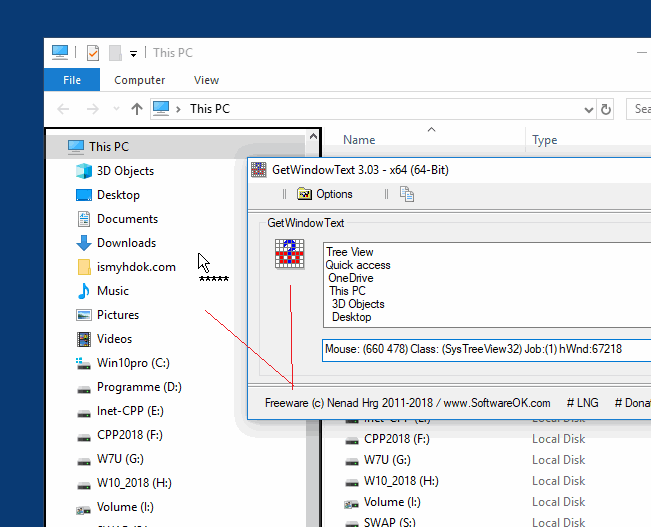 This program supports also directory trees (SysTreeView32) and list views (SysListView32) to read the entire contents. When you release the mouse button, the reading will be finished. Good stuff -- looks like it might do a little more than the already-excellent SysExporter. I added GetWindowText to the database. Checker wrote: I added GetWindowText to the database.